Forest bathing is a practice of being present, opening our senses to receive all of the forest. It isn’t about taking your clothes off to literally bathe. It’s a figurative use of the word, as in to fully bask in the atmosphere. 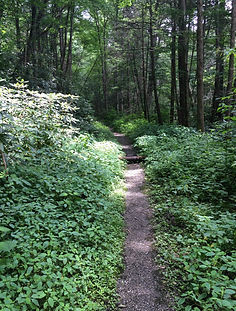 This trail is through the forest at Frozen Head State Park in Tennessee. 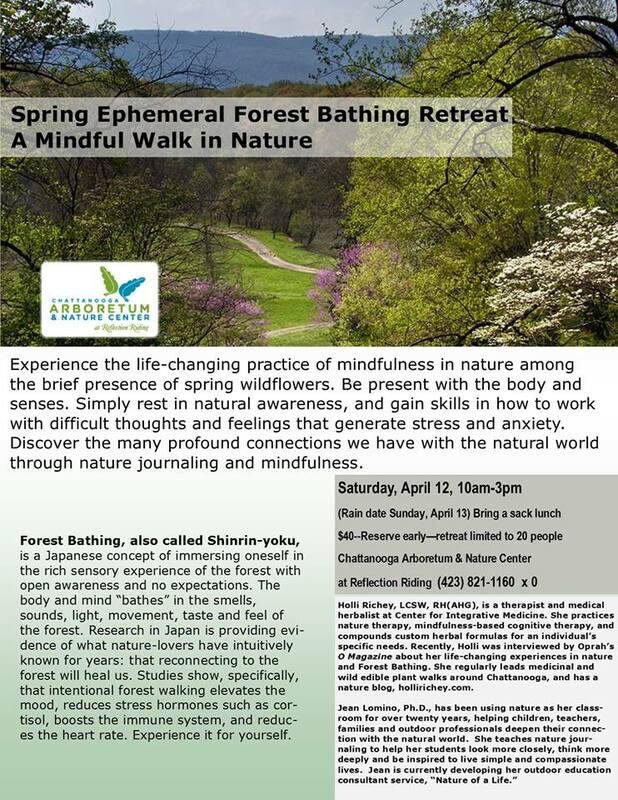 Forest Bathing is a Japanese concept of immersing oneself in the sensory experience of the forest with open awareness and no expectations. 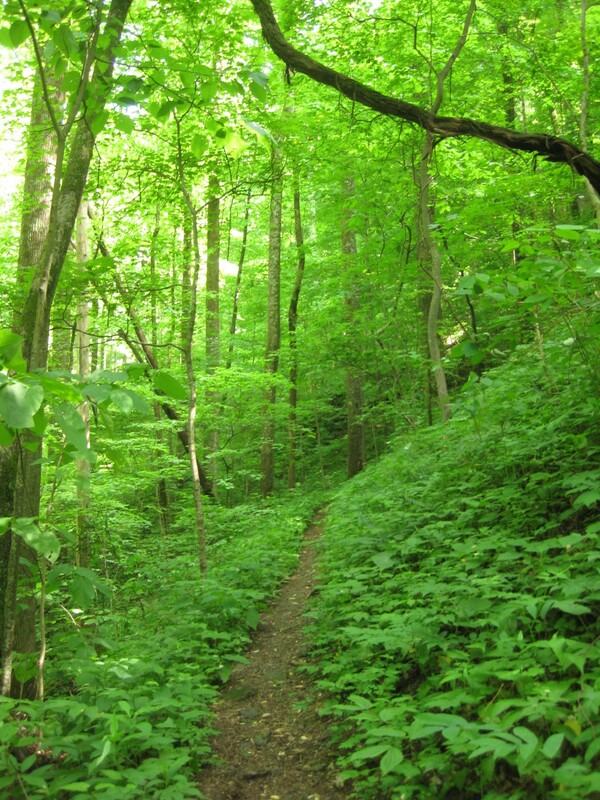 Studies in Japan have proven that opening one’s senses to the forest will reduce stress hormones such as cortisol, boost the immune system, and reduce the heart rate. 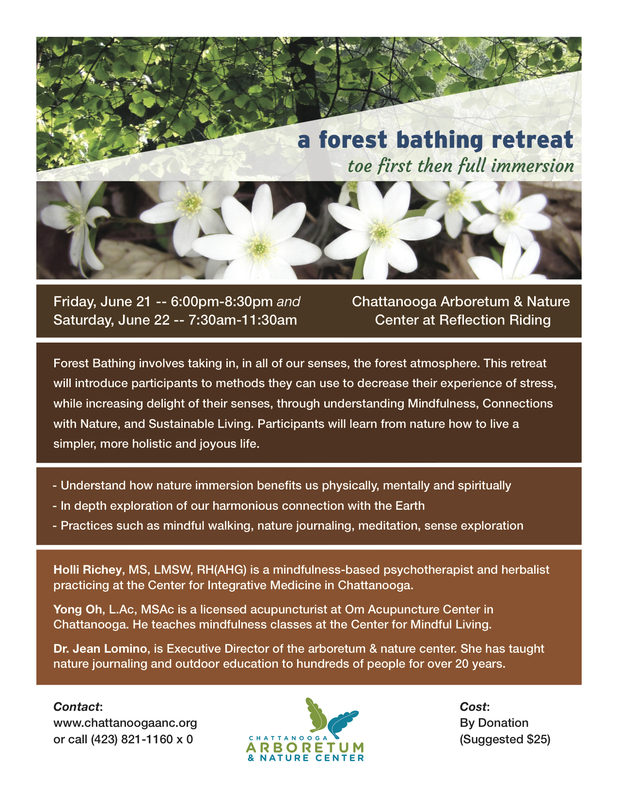 Join Yong Oh, mindfulness teacher, Dr. Jean Lomino, director of CANC and outdoor educator, and Holli Richey, therapist and herbalist, for this Solstice retreat into the woods where we will experience the life-changing practice of mindfulness in nature. Experience how to be present with the body and senses, and learn how to work with difficult thoughts and feelings which generate greater stress and anxiety. Experience what it is to rest in natural awareness. This is the first of more Mindfulness in Nature retreats to come. Toe first, then full immersion. 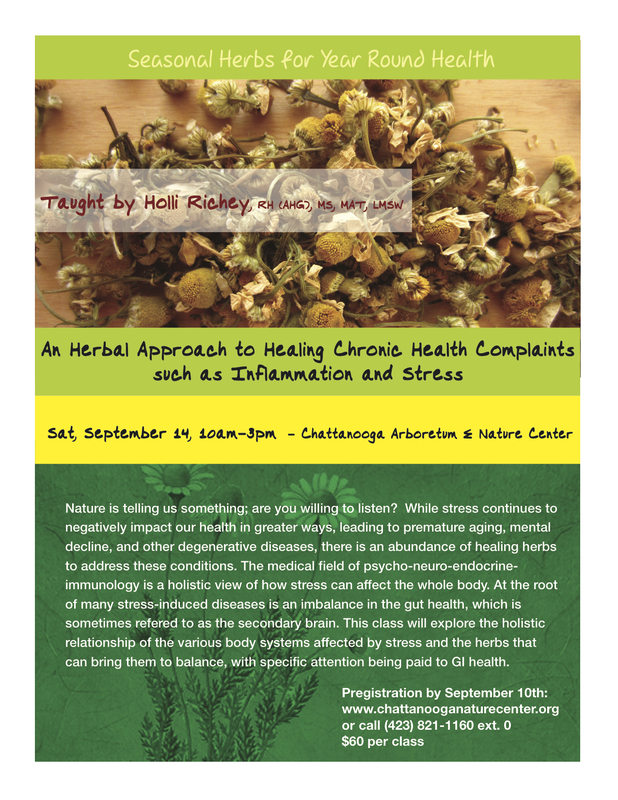 Register with Chattanooga Arboretum by Monday, June 17th. Donation, $25 suggested. *This is not an overnight retreat.